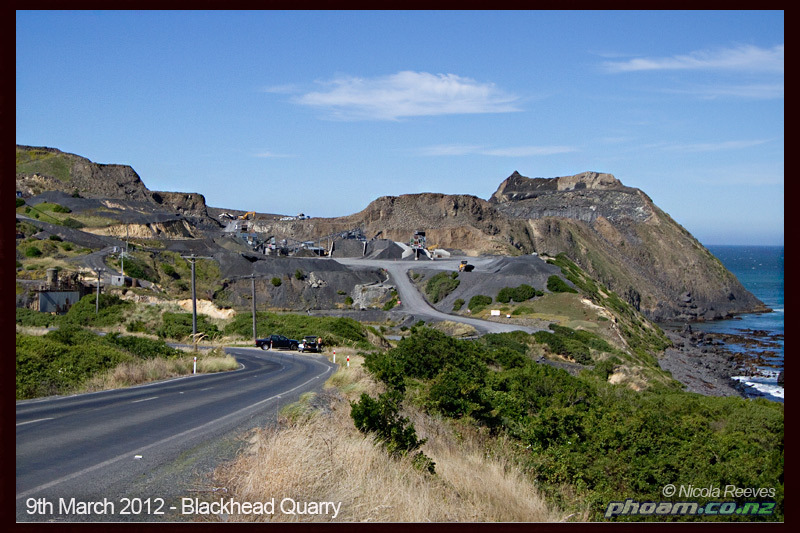 Friends of Blackhead | Documenting the demise of the Blackhead Headland, Dunedin. 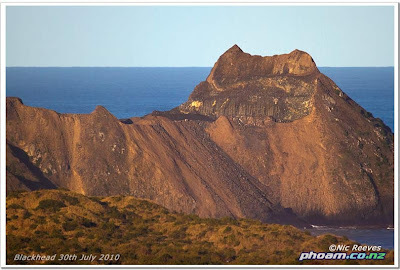 In 1985 Fulton Hogan had plans to mine the centre of the Blackhead headland site to 50 metres below sea level and then blast an opening into the ocean creating a safe boat harbour. 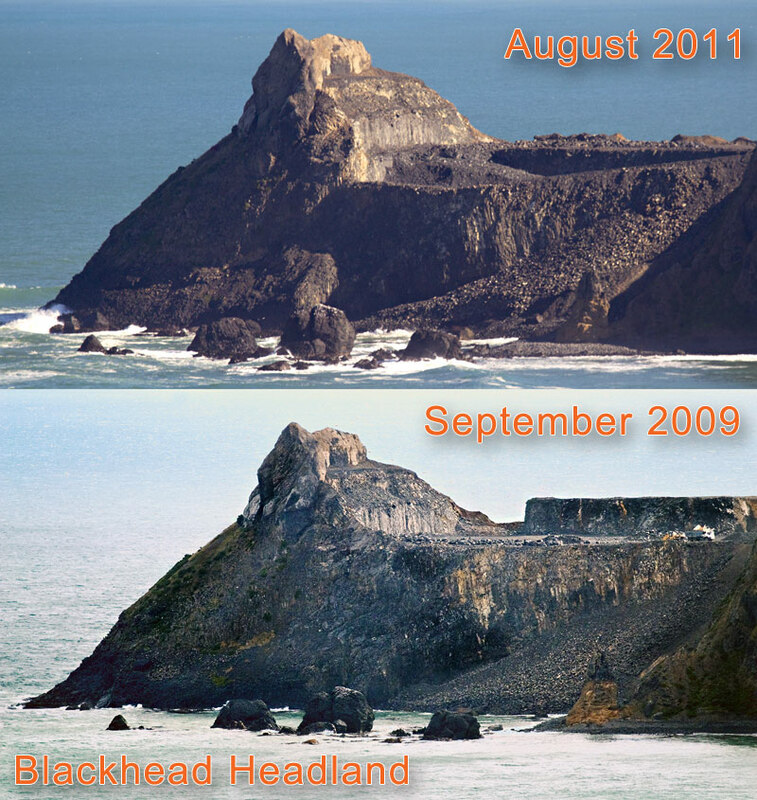 Destroying the headland completely. 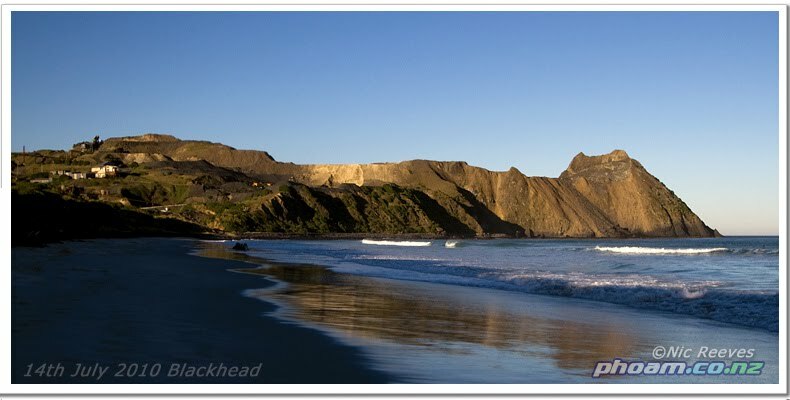 The Friends of Blackhead achieved with negotiations with the Department of Conservation and Fulton Hogan the placement of a Covenant over an area of the headland in 1991 to stop the quarry spill destroying the rare basalt rock formations, the Roman Baths and Dock. 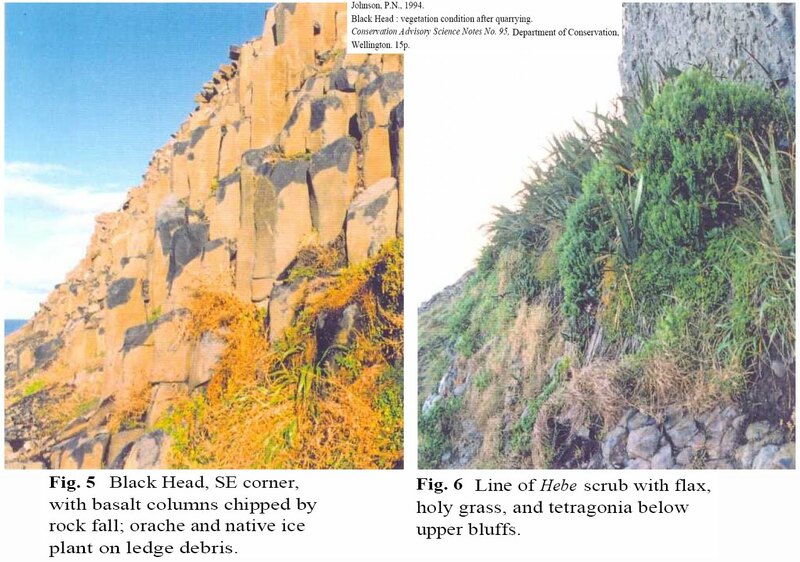 A condition of the covenant was that the rubble covering the rock formations was cleared away, and further spill be redirected away from the protected covenant areas. After 18 years, this has not been carried out. To ensure the covenant conditions are fulfilled a public campaign has been launched to rally support through the reformation of the Friends of Blackhead, and to negotiate again with Blackhead Quarries and DOC to restore the headland treasures for the public to once again enjoy. Blackhead Headland a volcanic outcrop has been mined for its rock for road construction since the 1930’s, once a rounded picturesque headland, its has now lost more than half its volume. A covenant placed upon it in 1991 protects the end of the headland and the rare rock formations of the Roman Baths and Docks.. similar in structure and value as the Giants Causeway in Ireland. 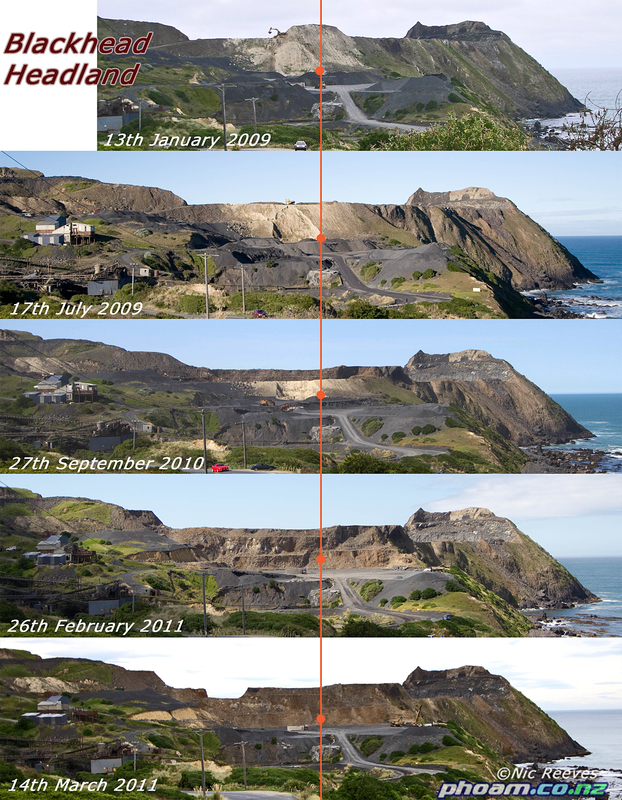 here is a flyover of the headland in February 2012 along with footage from the land. 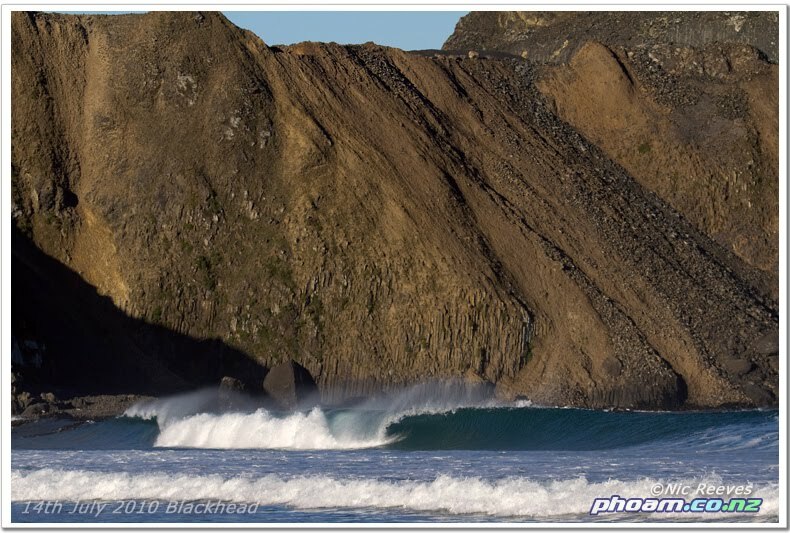 Filmed by Nic Reeves of phoam.co.nz. Just how much rock has been removed? 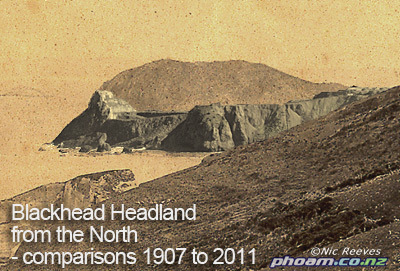 Here a photograph taken around the turn of the 19th century of the Blackhead headland from tunnel beach area on the north east side has been overlayed by a photo taken in 2011 of the lowered profile of the headland due to quarrying activities. 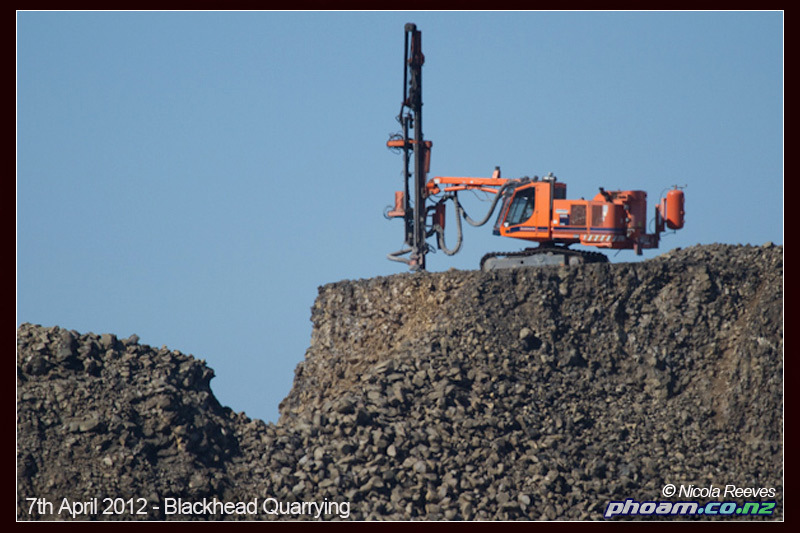 Blackhead quarrying update, I’ve been taking progress photos for months, but not posted. 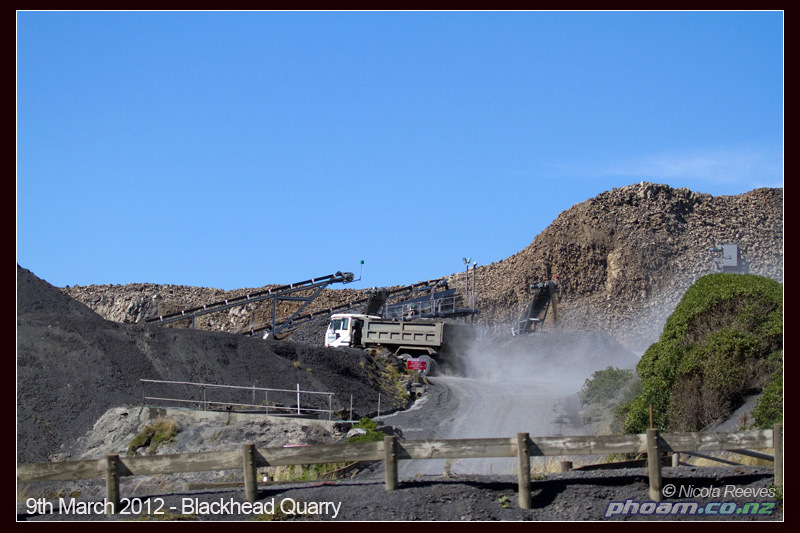 The main sequence above is 15months of quarrying and lowering on the south side of the quarry which is the face that is seen from Blackhead Road and the carparks. Heaps of activity and changes, the one big thing is the disappearance of what I call ‘the slip’ which was clay slide shaped like an arch. 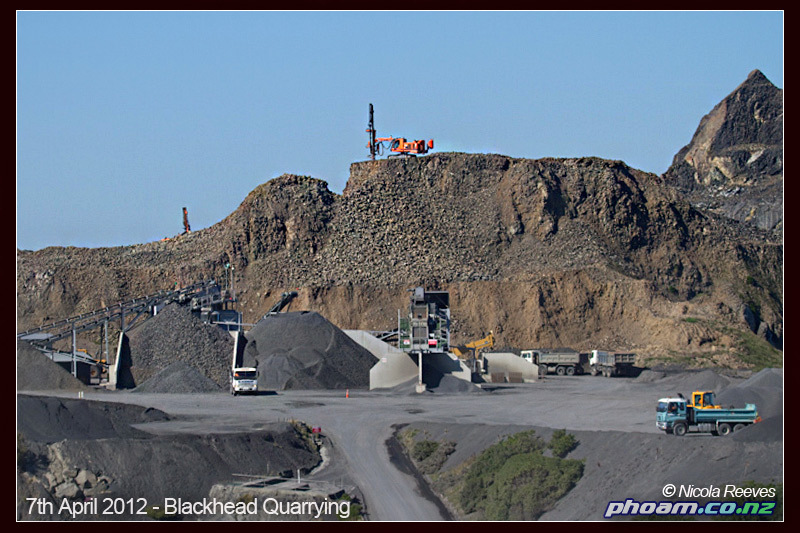 Almost every day I drive past the Blackhead headland and Quarry. Every time constant quarrying activity has moved more gravel piles, eaten away at the rock faces and the profile has been nibbled away like a slow methodical attack on a girl guide biscuit. 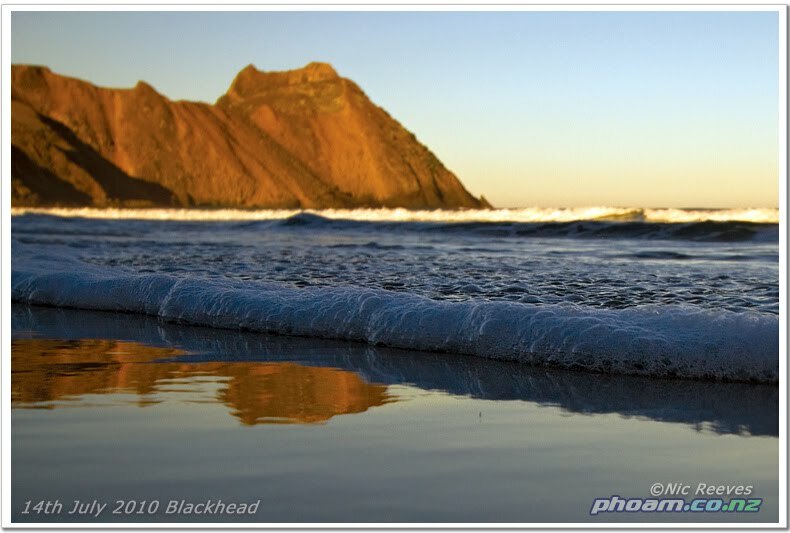 Last month a refreshing walk along Blackhead beach revealed more than a pretty reflection. 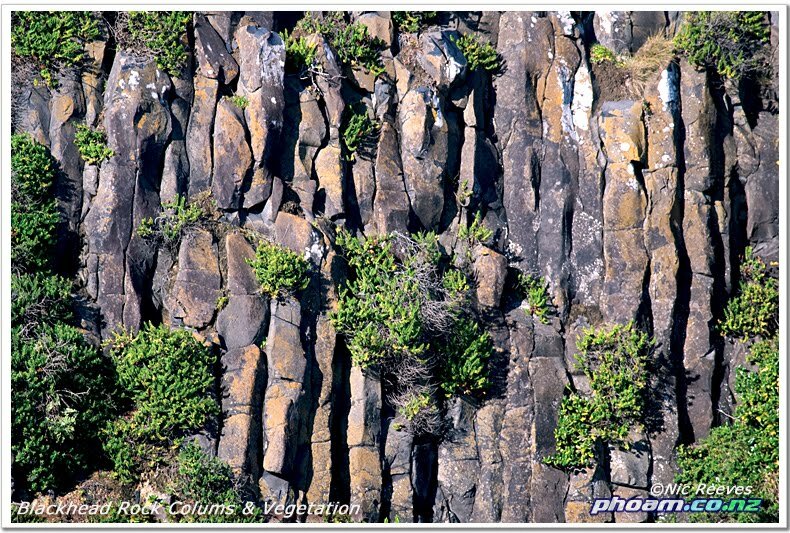 Rubble and rock from quarry spill overflow and scour the side of the headland, covering the spectacular columnar volcanic features and rare dwarfed native scrub. This area is protected by the 1991 covenant, where spill must not cover and destroy the natural rock formations and affect the vegetation.